The signature event of the i4C weekend, the Cool Chardonnay World Tour Tasting & Dinner showcases the world’s best Chardonnays and Ontario’s best cuisine. The i4C is thrilled to embark on an exciting new partnership with Canadian Food and Wine Institute (CFWI). Eager to kick off the new partnership in style, CFWI will open its doors to hundreds of Chardonnay lovers from around the globe on July 20, 2019 to host the Cool Chardonnay World Tour Tasting and Dinner. Chef Craig Youdale (Canadian Food & Wine Institute at Niagara College), Chef Alex White (Benchmark Restaurant), Chef Ross Midgley (Wellington Court Restaurant) and the dream team of the region’s top winery chefs will rise to the occasion, creating the ultimate family-style menu. The evening begins with the Cool Chardonnay World Tour Tasting – the only public tasting event that showcases all of the International and VQA Ontario Chardonnays and Blanc de Blancs wines of the i4C. Taste your way through the realm of Cool Climate Chardonnays – from lively unoaked wines to smooth and rich barrel-aged vintages and exciting Blanc de Blancs. The popular ‘What Kind of Cool Are You?’ station will return for the 9th annual event – an interactive palate profiling tasting of four exemplar Cool Climate Chardonnays. 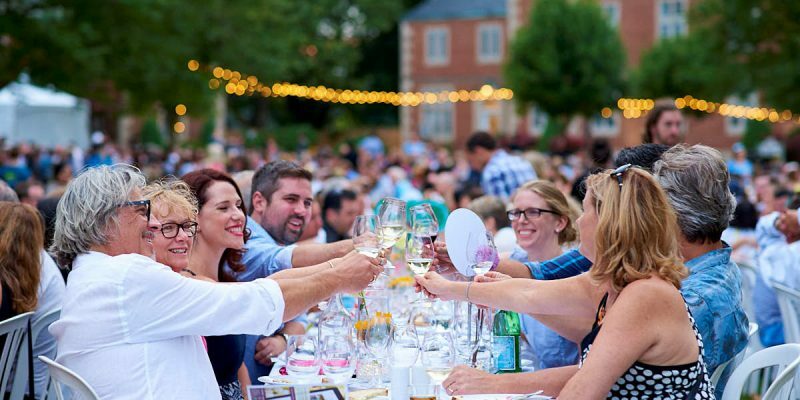 After dinner, enjoy the “Après Chardonnay” bar featuring the VQA Ontario and international winemakers’ favourite RED varietals, the popular Craft Brewery bar, and dance under the stars. Your ticket includes samples of premium Ontario and international Cool Climate Chardonnays and Blanc de Blancs at the World Tour Tasting, red wines will join Chardonnay at dinner, and craft beer will be available after 9pm. Wine service will be provided by a team of sommeliers during dinner. Please ensure you select your table and seat for the dinner, when purchasing your ticket.